Jennifer Lopez played Selena in a film about her life. Directed by Gregory Nava, the biopic opened with mostly positive reviews. Over 24,000 people auditioned for the leading role in the movie. Selena's fans supported the movie, and Lopez's acting in the film helped elevate her career. 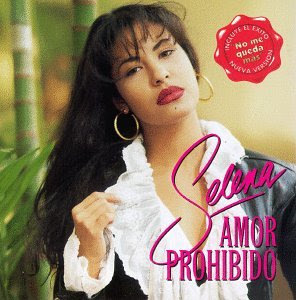 Although Lopez succeeded as a pop star a few years later, Selena's voice was dubbed in for all the songs in the movie. For her role, Lopez was nominated for a Golden Globe award for Best Actress in a Musical. Selena was among two other Latin artists who had the best sales of records for the year 1999. Reliant Stadium in Houston hosted a tribute concert, Selena ¡VIVE!, on April 7, 2005. Held a week after the 10th anniversary of her death, over 65,000 fans attended the concert, which featured high-profile artists including Gloria Estefan, Pepe Aguilar, Thalía, Paulina Rubio, Ana Bárbara, Alejandra Guzmán, Ana Gabriel, and Fey. The artists performed renditions of Selena's music, as did her brother, A.B. Quintanilla, who performed with his band Kumbia Kings backed with footage of Selena singing "Baila Esta Cumbia". Broadcast live on the Univision network, Selena ¡VIVE! is the highest-rated and most-viewed Spanish-language show in American television history. The show, which lasted over three hours, scored a 35.9 Nielsen household rating. The American Bank Center in Corpus Christi named their 2,526-seat concert auditorium, Selena Auditorium, in her memory. 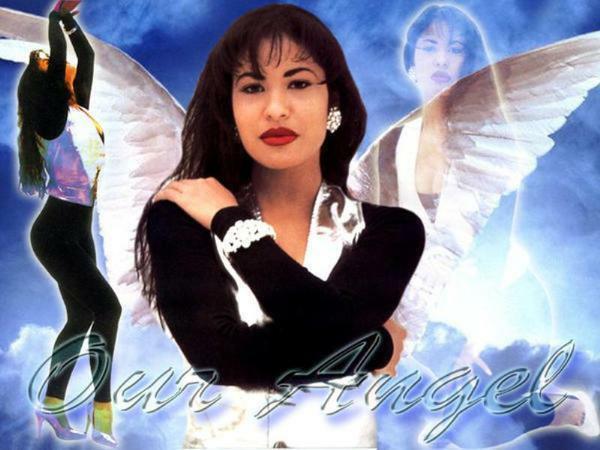 Tejano music has not recovered since the death of Selena whose appeal extended beyond the Tejano genre: Such artists as Beyoncé, Myra, Paula DeAnda, 3LW, Christina Aguilera, Shakira, Nadia López, Diana Reyes, Ivy Queen, Fanny Lú, Don Omar, Kat Deluna, Eva Longoria, Wyclef Jean, Daddy Yankee, Aventura, Jennifer Pena, David Archuleta, Lila Downs, Frankie J, Perez Hilton, Katy Perry, Ashlee Simpson, Q'orianka Kilcher, and Enrique Iglesias have identified themselves as fans of her. Selena has retained great devotion from many fans. Selena's legacy, music and life has been the cover of media on Oprah Winfrey's The Oprah Winfrey Show, George Lopez's Lopez Tonight, María Celeste Arrarás's Selena's Secret: The Revealing Story Behind Her Tragic Death and various of both English and Spanish specials that included Dave Holmes, Nick Lachey, Mariah Carey, Lola Ogunnaike who breifly talks about Selena's death. Selena also has been covered in many documentary shows on VH1, MTV and A&E, such as, E! True Hollywood Story, and Famous Crime Scene. Selena's life was also covered in The Biography Channel's Biography and Notorious. In the Spanish market, Selena's biography usually airs annual during the anniversary of her death on Univision and Telemundo networks. Another Texas-born singer-actress, Selena Gomez, is named after the singer and is mentioned by Gomez as one of her musical influences. Selena's music has been covered in Portuguese (by Sara Tavares), Vietnamese (by Phương Thanh), Finnish (by Meiju Suvas), Tagalog (by Philipino singer, Quamo), Dutch by Kelly Hensen and Spanish by various of artists.